I had told myself I was going to wait to buy these, since they're not limited edition and can be easily purchased at any time in the future... but then I saw them in-store and (oops) touched them and (oops) it was love. 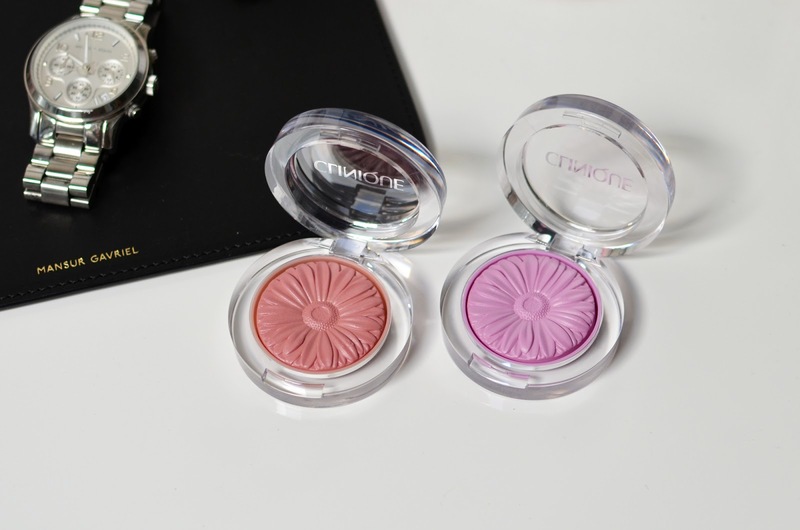 Clinique's new shades in their Cheek Pop are divine, and I had bring some home. Right away. I ended up with Heather Pop and Pansy Pop to add to my much-loved but very lonely lineup of Plum Pop. My new acquisitions are both cooler toned and incredibly luminous. Not shimmery, but definitely not matte either. Just... glowy. Heather Pop is a nice medium pink, but not all that typical. There's something different about it that I can't quite put my finger on, and it really drew me to the colour. I did have a bit of trouble "starting" Pansy Pop - it was a bit stiff in the pan my first day using it - but it seems to have sorted itself out, because it's beautiful and smooth and delightful now. 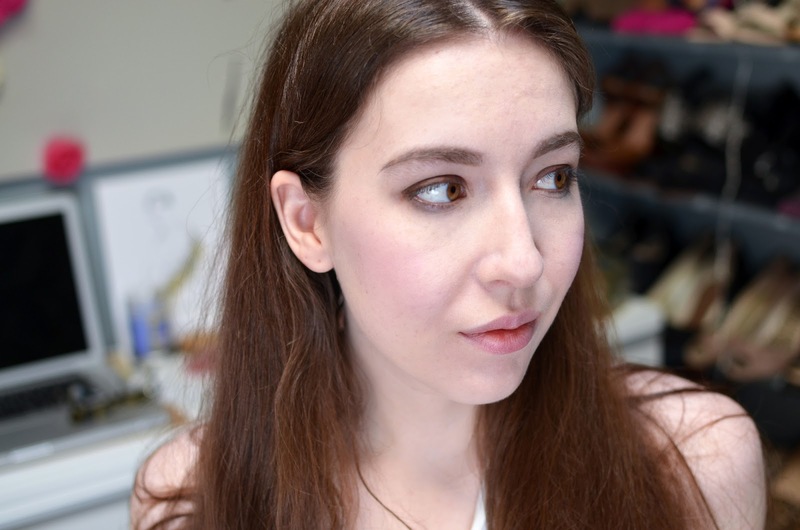 I have a serious soft spot for lavender-toned blushes, given they're pretty foolproof for pale cool-toned skin, so this has serious potential to be a major favourite. I'm wearing it in the photo below, and while buildable, it's a lot less scary than it looks in the pan!